Hi Everyone and happy Monday to you! 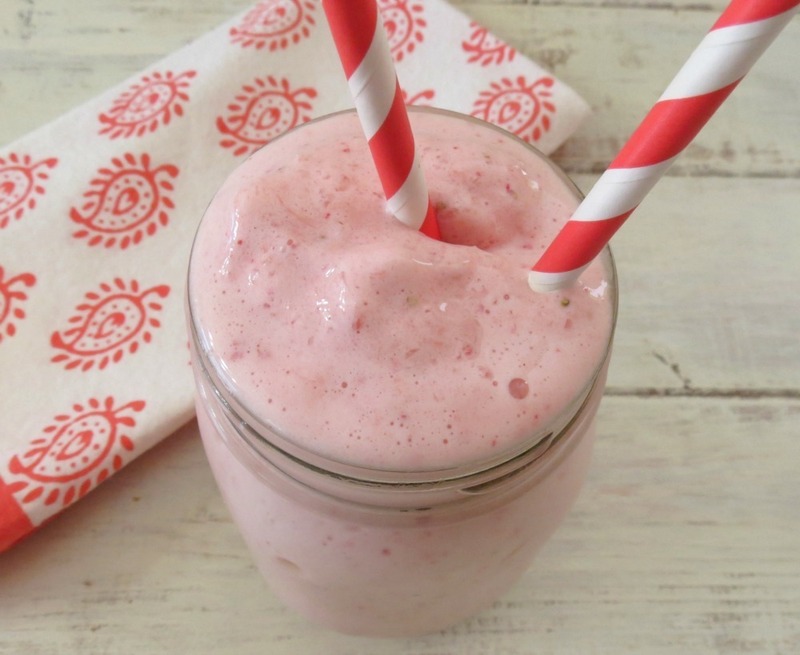 Welcome to Smoothie Monday! Today’s recipe is one that I made on Saturday after my dreaded circuit training workout. You know those days where you force yourself to work out? That was my Saturday. I stood in the bathroom looking at my workout clothes, and debated and debated a long time. Do I want to workout or get dressed and head to the Farmers Market? I knew I didn’t workout on Friday and I take Sunday’s off, so after much debate I worked out. But after my workout, I like to treat myself to a nice smoothie. This smoothie is what pushed me through my circuit training. This is what I like to call my Razzle Dazzle Pineapple Smoothie. 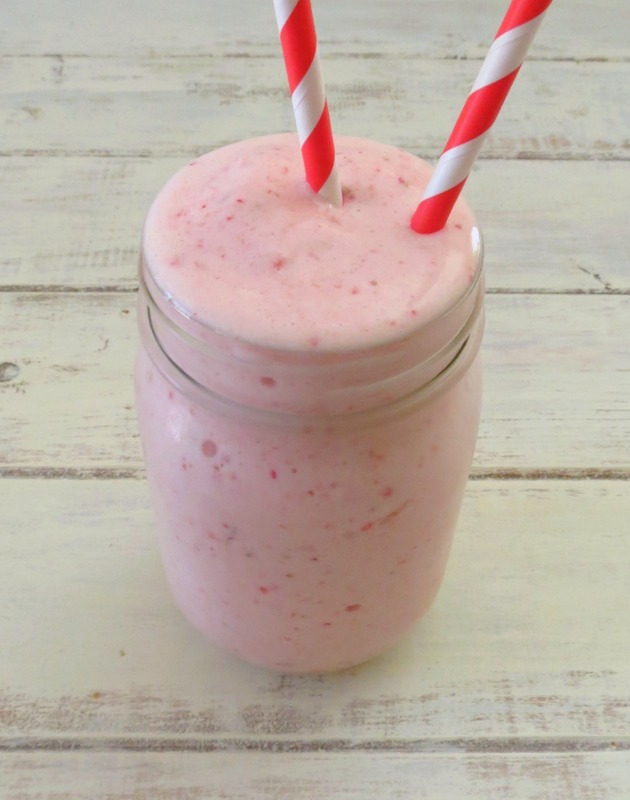 It’s made with raspberries, pineapple, coconut milk and vanilla protein powder. 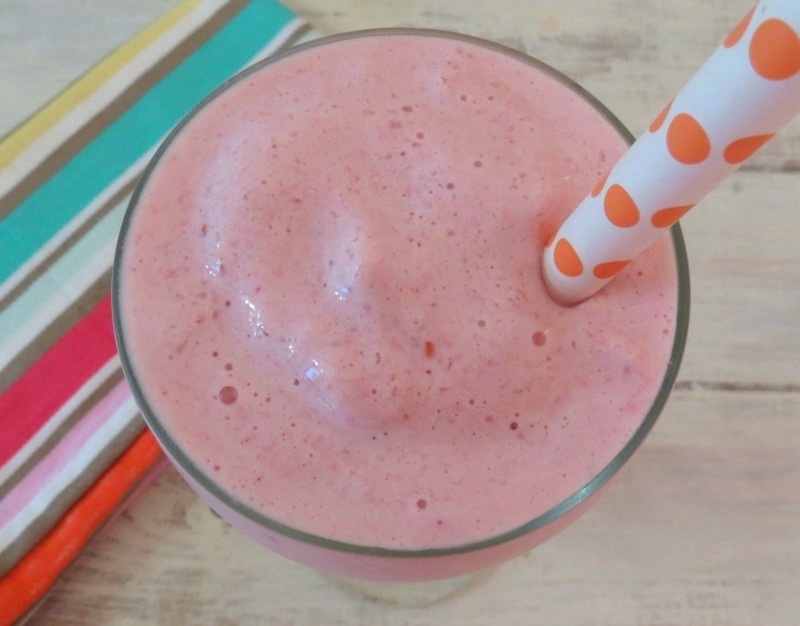 It’s the perfect post workout smoothie! It’s also thick, just like a milkshake and I love that! When you take that first sip you get a nice pineapple taste and right at the end you get a hint of raspberry. The coconut milk and the vanilla protein powder makes it creamy smooth. Now you know why I did my workout. Each time I lifted my weight, I thought smoothie, after my 1 minute of jumping jacks and my heart was racing, I was thinking cool, refreshing smoothie. For me, this past Saturday this smoothie was my miracle worker. Funny how certain things can give you the push or the swift kick in the a$$ that you need! My Husband has been restoring a car in the garage which seems like forever and he has been in their day and night sanding away. He doesn’t eat ever! It makes me crazy! How can someone do physical work and not eat? I have to eat, but maybe I look for an excuse to eat? But no matter my reasons I need food and nutrition to get me through my day. I felt the need to at least give my Husband some form of nutrition, so the kind wife that I am, I gave him half of my smoothie. It surprised him, and he enjoyed it!! A few minutes later, he came in the house and put away his glass, and then he said, I’ll go to Whole Foods with you. What? Now that’s crazy talk! My Husband hates Whole Foods, plus it’s a 50 mile drive. See what I mean? A miracle smoothie!! 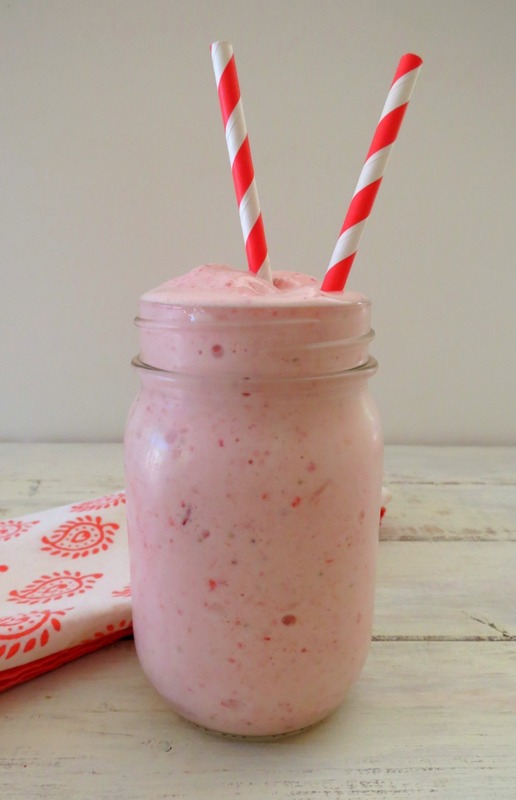 A creamy, thick smoothie made with pineapple and raspberries and blended together with coconut milk and protein powder. Sure it would work!! It may not be as thick, but it still will be really good!! Okay, I have everything to make this except the coconut milk, I might have to be creative here. Can you hear my blender getting ready to crank up? 🙂 Sounds wonderful, just bought pineapple and raspberries yesterday! I just love the combination of pineapple and raspberries together, heck I love just about any fruit combination! 🙂 I think any kind of milk you use will work out great! It will be a great treat before work. 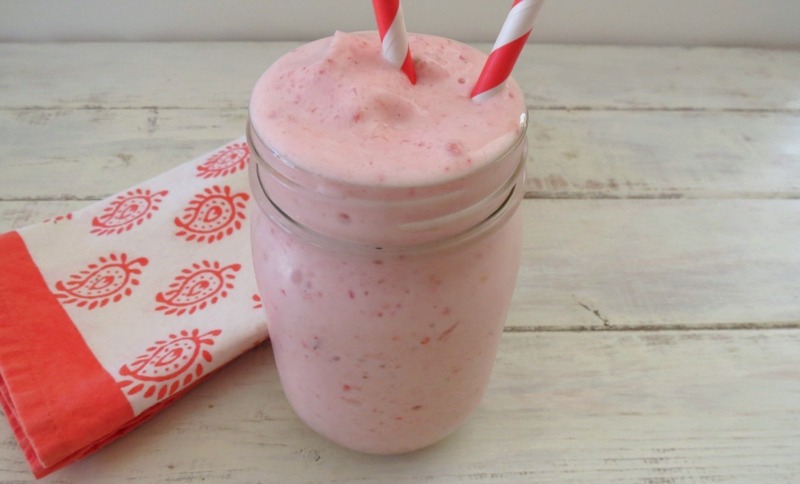 You always make such yummy smoothies! This is perfect for summer! This looks so refreshing for the hot mornings! Pineapple is my favorite addition to smoothies, yum!